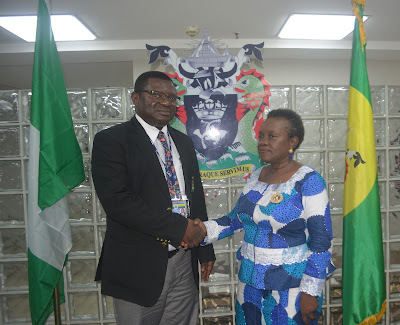 The Secretary General of Africa Ship-owners Association, Ms. Funmi Folorunso paid a courtesy call on Managing Director of Nigerian Port Authority (NPA) Hadiza Bala Usman on Monday January 28, 2019 at the Corporate Headquarters of the Authority in Marina, Lagos. She was received on her behalf by the General Manager Corporate and Strategic Planning, NPA Engr. Tolu Talabi.